Wonderful evening. Good selection of his songs. Support act collabro excellent. Well organised and lovely venue. Great evening,but wasn't amoured by the act that took over from Collabra, when they had to fly to London for a previous engagement,Cliff was brilliant as ever,and a great time was had by all,especially my wife an ardent Cliff fan. Sir Cliff was brilliant and the support group Calibro were superb. The only downside the seating was all on ground level at the Cutty Sark, so it was difficult to see the stage because of heads in the way. We watched most of the performance on the big screen. The concert was excellent. Cliff was his usual vibrant self. the staging and the setting were magnificent. We did feel that some of the organisation was poor. For instance we did not know when Cliff would be on stage and also how long the break would be. There were no signs to indicate what was going on apart from the numbers of the blocks. Also the area for the wheelchair users was small. My friend who is in a wheelchair was unable to get a place with the others and had to sit on a seat which was difficult for her. Unfortunately at the end of the show there were no taxis anywhere. I had difficulty finding a taxi until 11.30 and that was some distance from the Naval College. Absolutely marvellous show, thought Cliff was amazing in his voice and energy. Worth every penny and would recommend it to anybody. There are few greater performers than sensational pop singer Cliff Richard. Having sold more than 250 million records worldwide and enjoyed a career which has lasted more than 50 years, he can truly be considered amongst the most important living legends. To celebrate the release of his incredible new album Just… Fabulous Rock’n’Roll he has recently announced an exciting headline tour for 2017 which takes him to some of the UK’s most beautiful castles and iconic historical locations fashioned to create wonderfully intimate arenas. The band new album sees Cliff return to the golden years of rock and roll with brand new renditions of such classics as Great Balls Of Fire, Sweet Little Sixteen and Roll Over Beethoven plus his very own debut single Move It. Just… Fabulous Rock’n’Roll features a dazzling duet between Cliff and his ultimate hero; the King Of Rock And Roll - Elvis Presley. Realising a lifelong dream for the British singer, the pair share parts on signature song Blue Suede Shoes. See him perform throughout June at Eastnor Castle in Ledbury, Stansted Park in Hampshire, Walcot Hall at Shropshire, Catton Hall at Walton-on-Trent before moving on to Lincoln Castle, Euston Hall at Thetford, Harewood House and Scarborough Open Air Theatre. He then plays two nights at Old Royal Navy College in London during July. Cliff Richard tickets will sell out so book yours before they are gone. With a career that started in the 50’s, Cliff Richard’s career has been formative in the creation of rock and roll. Star of stage and screen he has appeared in such spectacular films as The Young Ones and Summer Holidays whilst his hit singles include Congratulations, Living Doll, Devil Woman and We Don’t Talk Anymore, plus many more! 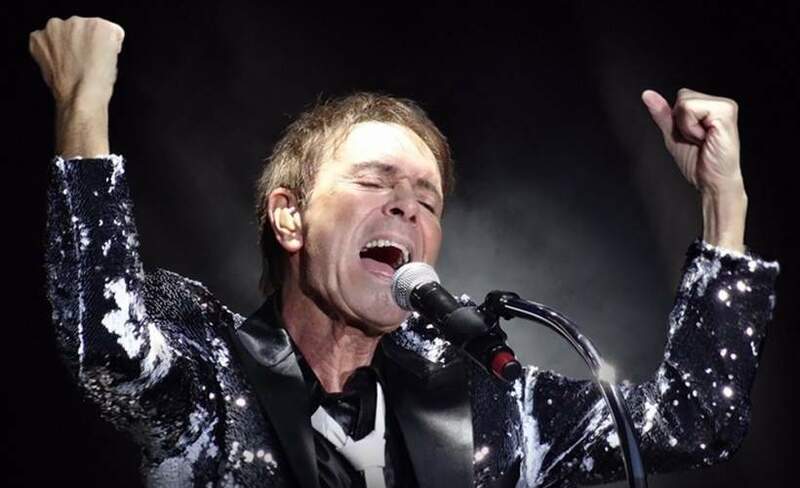 Given his status as one of the most important rock and roll singers of all time, Cliff Richard concert tickets are in huge demand so book early or risk missing out entirely! Always choose Gigantic for the very best experience buying gig tickets for your favourite acts.